Love nothing more than your daily caffeine fix? If you’re planning a trip to India, set your sights on the south. 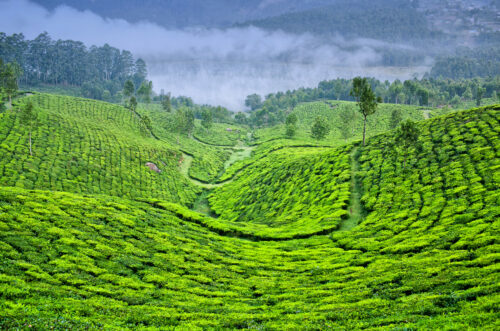 Across Kerala, Tamil Nadu, and Karnataka, you’ll find rolling hills covered in tea plants, luxurious retreats set in the middle of fragrant coffee plantations, and cafes where you can get your fresh and frothy daily cuppa. Embark on a South Indian coffee and tea tour, and you’ll be treated both to incredible scenery and delicious local brews. Your South Indian coffee tour begins in Chennai, in Tamil Nadu. First, book in a stay at the 5-star Vivanta by Taj Connemara. 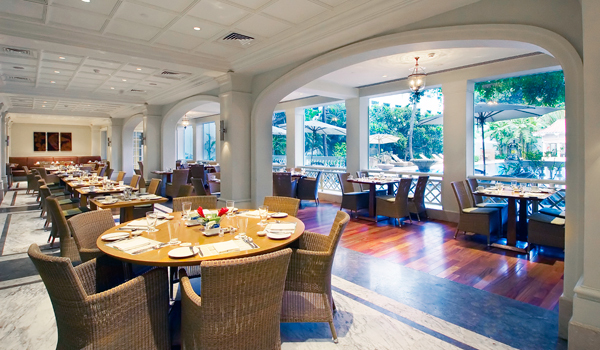 The hotel doesn’t just promise luxury comforts; its legendary Verandah Restaurant, which sits overlooking the hotel’s pool, is also famous for its breakfasts – exceptional local coffee, naturally, included. Saravana Bhavan is another unmissable Chennai stop. Its filter coffee, made with strong-brewed beans and lots of rich, frothy milk, is worth travelling for. Next on your South Indian coffee tour, venture to Coorg in Karnataka, around which many of India’s coffee plantations are clustered. 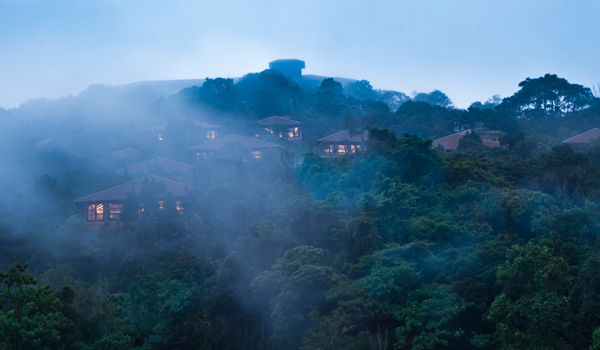 The Vivanta by Taj at Madikeri sits ensconced amidst misty, verdant hills. The hotel’s interactive cooking experiences will show you first-hand how Karnatakan dishes are made – and how its coffee is brewed. The Serai Resort in Chikmagalur, meanwhile, which sits in the heart of coffee country (Chikmagalur was home to India’s first-ever coffee plantations), is another worthy nearby destination. The hotel hosts guided coffee walks of the grounds, and bean-to-cup tasting sessions, too. Finally, it’s on to Kerala. The Pepper Trail in Wayanad, located on a former colonial plantation, offers stunning views of its Western Ghats surroundings. 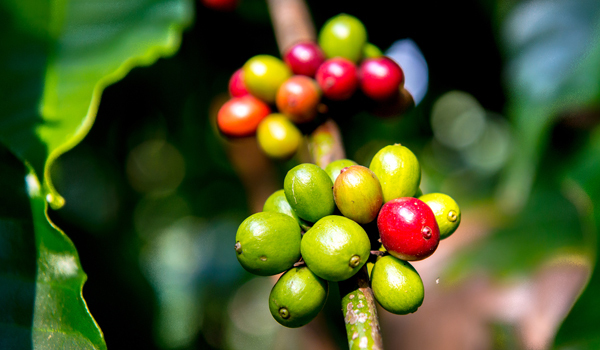 And for those looking to learn more about the region’s java history, it also hosts plantation tours that teach visitors about India’s traditional coffee cultivation methods. But coffee isn’t the only star of South India: the region is also justifiably renowned for its tea, which flourishes in its cool, rolling hills. Get an up-close look at the Windermere Hotel in Munnar, Kerala. 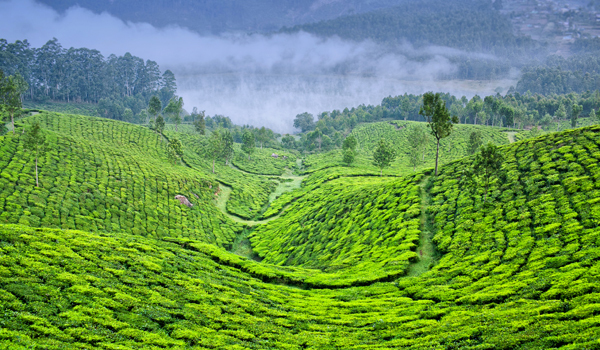 Located in the Western Ghats, the hotel is surrounded by tea and spice plantations. If you book a stay, don’t miss its jeep safari tours, which will whisk you away to the nearby Kolukkumalai Tea Estate. The estate, located at 8,000 feet above sea level, happens to be the highest in the world (and is known for its high-quality brews). The Paradisa Retreat in Thekkady is another worthy stay for visiting tea lovers, located as it is on historic tea, coffee, and spice plantations. 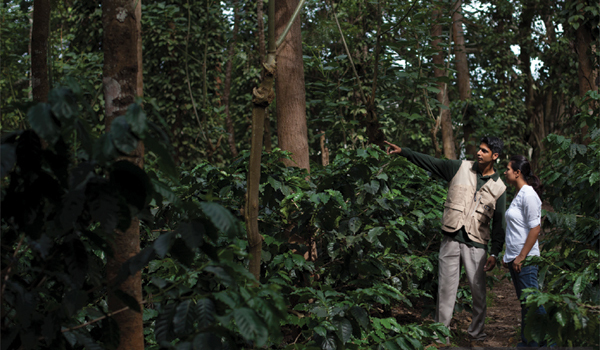 Go on a trek through the plantations and see cultivation and harvesting in action. And no Kerala tea quest is complete without a visit to the Tata Tea Museum in Munnar, which houses tea production equipment (including tea leaf rolling machines), photographs of the region’s historic plantations, and other fascinating mementos. The museum also sells deliciously fresh tea besides; you can’t leave South India without bringing home some tasty souvenirs.